Luxury for less. 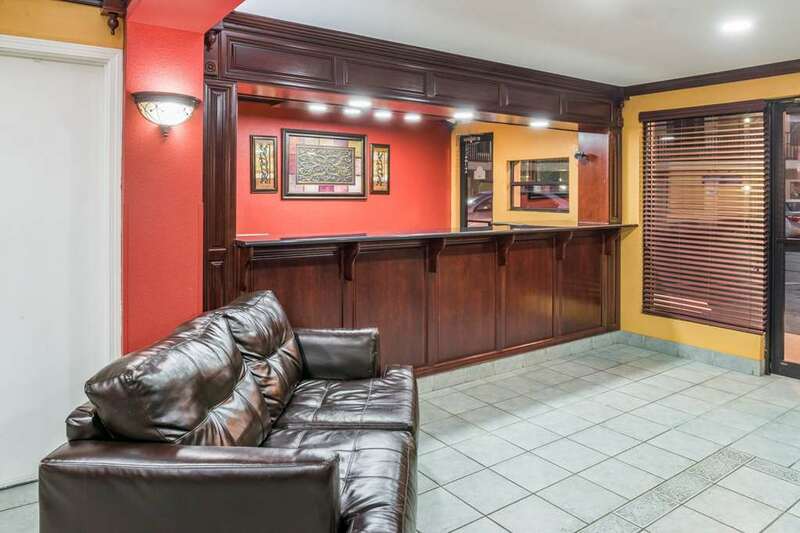 The Days Inn of Waynesville is a property with modern comforts and service. Centrally located in the heart of America, Missouris Ozarkland. Enjoy a wide range of activities such as fishing or canoeing in the Missouri river. Famous Lake of the Ozarks is just 55 miles away. Visit Ft. Leonard Wood Army Base just 4 miles away. Make your one stop before you go to Branson or Silver Dollar City and save money rather than staying in Branson. We are located right on Interstate Highway 44, Exit 163 Dixon Exit with very easy access from Interstate Highway 44. We have a microwave, refrigerator, coffeemaker, hairdryer, and 32 inch LED HD TV in each and every room. We have complimentary coffee all day. We offer free cable, ESPN, and many more channels in rooms. And for guests convenience we have coin operated laundry facilities and exercise room. We have special low rates for seniors and families. Hi Speed Wireless Internet in all rooms. Sorry, no truck parking. Enjoy the beauty of Ozarkland of Missouri while you stay at our Inn. Kids 12-Under Stay Free. Pets Allowed with a 10.00 per pet per day fee.